Barry’s Bridge in Thurles, Co Tipperary, providing passage over the river Suir, was originally built circa 1650 and was partially reconstructed again circa 1820. 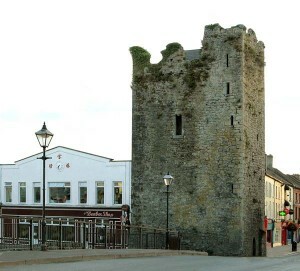 Bridge Castle, overlooking this seasonally shallow river crossing, has dominated the Thurles skyline since as early as 1453, built possibly by the Norman invader McRickard Butler of whom history records that he erected, in 1453, two castles at Thurles and one at Buaidlic (Boulick). 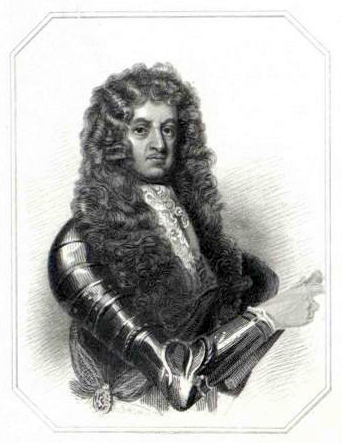 The Down Survey (1655 – 1656), also known as the Civil Survey, (A mapping of Ireland undertaken by Sir William Petty, English Economist, Scientist and Philosopher), lists James Butler, Earl of Ormond (1610 – 1688) and Lady Elizabeth Butler (Alias Preston) Viscountess Dowager of Thurles, (1615 – 1685) as the proprietors. 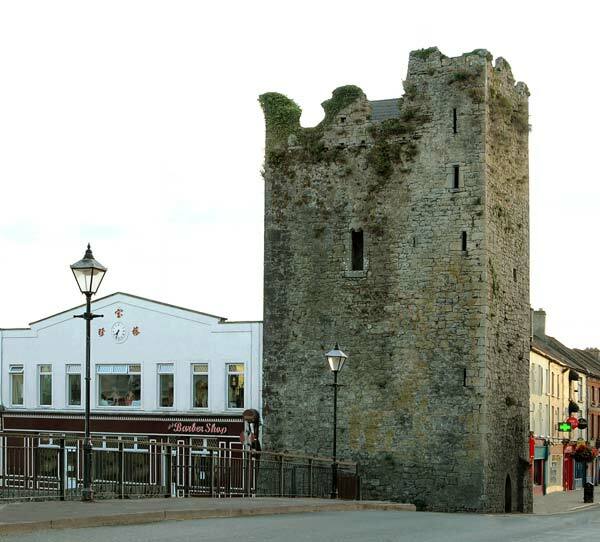 This medieval tower house is quite similar to many others erected across Ireland around the middle of 1400, to control, collect tolls and if necessary defend various similar river crossings against attack, using small garrisons of armed soldiers, housed in these buildings. 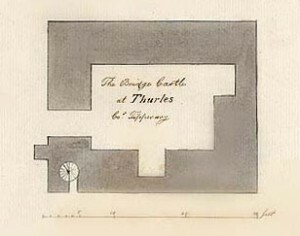 Plan of Bridge Castle.Thurles. 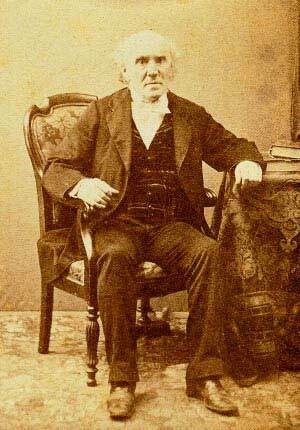 (Artist) A. Cooper (1759-1830). 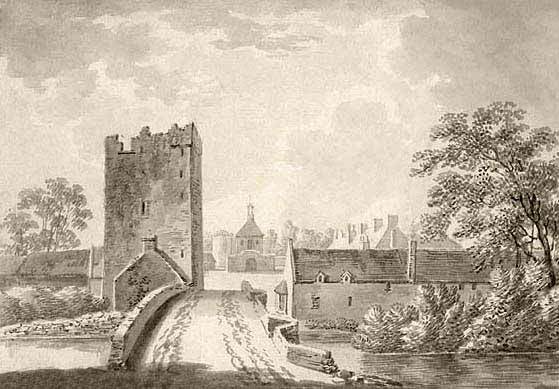 Wash drawing of Bridge Castle, Thurles, 1779-1793. 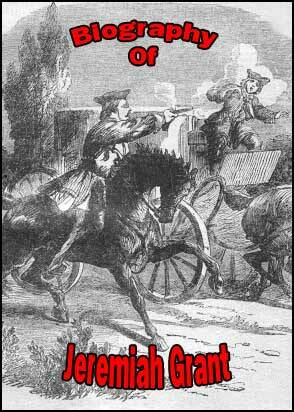 History also records that there were great celebrations in Thurles in 1768 when Francis Mathew, 1st Baron Landaff, later 1st Viscount Landaff and again later 1st Earl of Landaff (1738 – 1806) was elected Tipperary Member of Parliament, a position he held from 1768 to 1783. History informs us that bonfires burned, with the castle, bridge and market house illuminated. There was plenty of free drink available, with soldiers joining the local populace in the ensuing celebrations. This wash drawing, shown above, facing westward, (Circa 1779-1793, attributed to English artist J.J. Barralet 1747-1815.) shows the town of Thurles, with Bridge Castle in the foreground leading into the town, with a castle on the left, (Today the entrance to Friar Street.) and a Market House in the town square. (Latter, partially ruined by fire, was demolished in 1901.) The castle building today still remains in excellent structural condition. The way things are going “Hidden Tipperary” is going to bring things out of the ‘Cubby Hole,’ that we never knew existed, and no one could tell us until “Hidden Tipperary” came along. What’s next out of the Cubby Hole.? My parents being from Thurles has been influential on me. Whenever I visit Ireland (being born in Dublin, then moved to America) I always marvel at the mixture of modern buildings and derelict, “hidden-in-plain-sight”, type castles, forts, outposts, garrisons, and towers that stand forgotten; just more “street scenery”. What marvels these old buildings hold inside their walls truly astounds me. What history Doherty’s and Dwan’s alike have embellished upon Thurles will always entice me in a lattice of forgotten history.